Fredericks & Mae is a collection of games, tools, and imaginative objects for the home, garden, and sky. Founded in 2007, Fredericks & Mae began in the piles of feathers, thread, gold, and paper in Jolie Mae Signorile and Gabriel Fredericks Cohen’s Brooklyn, New York studio. 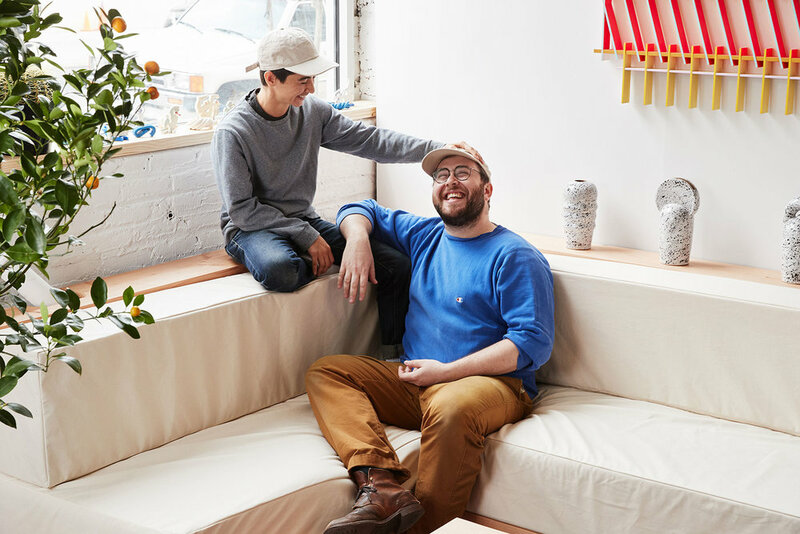 Since then, this art and design duo has continued to collaborate on their mutual love of materials, creating a beautiful and curious line that inspires both work and play. Fredericks & Mae is the art/design team of Jolie Mae Signorile and Gabriel Fredericks Cohen. The two met through a shared love for materials - Fredericks & Mae started in the piles of feathers, thread, gold and paper that decorated their first studio in 2007. Their collaborative practice has since evolved into a series of objects for the home, garden and sky. Fredericks & Mae is a material anthropology of objects with confused origins. Tools, games and rituals trace arcs through history and across the earth - we follow these arcs: nose to the ground and mouths agape.